Below are some frequently asked questions that other Cogent Education users have found helpful. We've also included some tutorial videos to help you get up and running quickly and easily. If you don't find what you need, feel free to Contact Us. You might also check out our Getting Started Guide for Schools and our Getting Started Guide for Students/Parents. Where do I access the software after each download? Downloaded Software can be found on the Desktop or the Downloads directory. Double click to install the application package. The application will be installed in Applications under the Cogent Education directory. Downloaded software can be found on either the Desktop or the Downloads directory. Once downloaded, double click to install the file. After installation, the software can be found in the Start Menu in the directory "Cogent Education". Downloaded software can be found on either the Desktop or the Downloads directory. Double click to run the Interactive Case. On your preferred device, open the Apple App Store or Google Play Store and search for the application name. Install the free version. Once installed, run the application. Web Versions do not be downloaded. Instead go to CogentEducation.com/Resources and click "Launch Web Version". Can I access my students' work from any computer? Yes. You can log into CogentEducation.com at any time from any computer with a browser and Internet access. This includes tablets, phones, laptops, Chromebooks, and desktop computers. 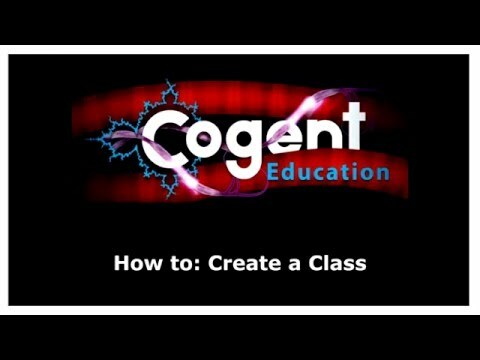 Best Practice Suggestion: Log into CogentEducation.com while your students complete an Interactive Case. Using the real time heat map, you can follow your students and intervene when individual students or groups need help. What is the estimated download time for each product installer? How do students use the software? Teachers can create student accounts by adding a student's email address to a class the teacher has created under their Cogent account. The student will receive an email invitation to activate his or her account and set a password. 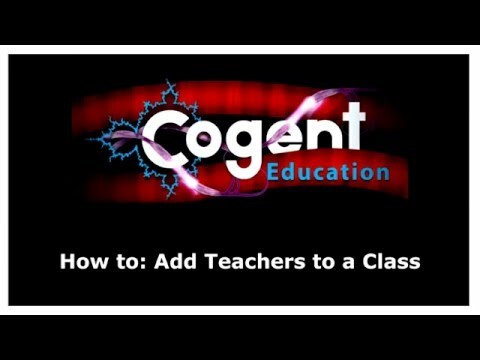 Once a student has an account, direct them to http://cogenteducation.com and instruct them to log in with their email address and password. They can then download and run the software. After a student has completed a Interactive Case, an Assessment Report will show under the class name on their Cogent website Dashboard (see screenshot below). 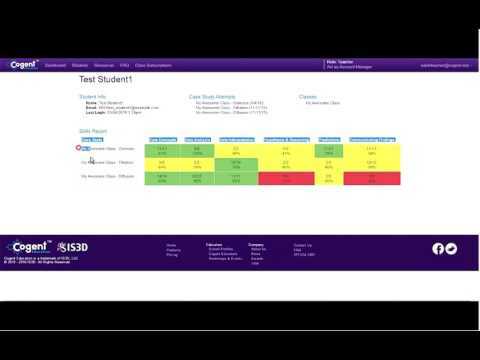 However, teacher grades and comments will only be displayed once the teacher has chosen to release scores and comments for that Interactive Case and class. Is the students' data secure? All student data is securely transmitted via SSL from our software applications and browser to CogentEducation.com's databases, which are FedRAMP Compliant for Cloud Service Providers. Only Cogent Education's web servers have access to these databases. Cogent Education will never sell student data to a third party or use student email to deliver targeted advertising. Watch this video to learn how to create a class. Watch this video to learn how to add teachers to a class. 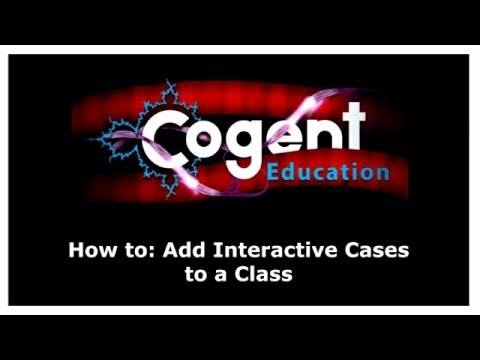 Watch this video to learn how to add Interactive Cases to a class. Watch this video to learn how to add students to a class. Watch this video to learn more about SABLE (Skills Assessment Base Learning Enviroment). 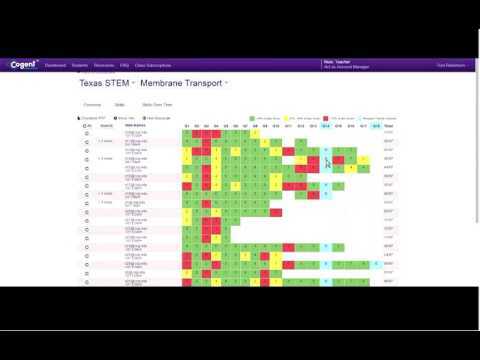 Watch this video to learn even more about SABLE (Skills Assessment Base Learning Enviroment). If you don't see what you're looking for here, please don't hesitate to contact us using the contact form.